28.03.19 The one consistent in the high tech electronics and optics industry is change! We knew the new LRF (Laser Range Finder) version of the Trail was coming, what surprised us was when they told us this year we had just received our last shipment of non LRF Trails! Surprised us somewhat as we can see the case for both. The intention is for the freshly announced Thermion to replace the non LRF version, with the Trail as the lead model with LRF. The factory surprised us also with sharper than suggested prices on the LRF versions. The good news is we are selling the remaining non LRF versions at a substantial discount. We hate it when companies say this, but pricing has changed quicker than our advertising agreement, so CALL for our best prices on the non LRF versions. Hundreds and hundreds to be saved, minimum $500 up to a $1000. There are now no more Trail XP50 (non LRF) with the last ones going yesterday. Should you choose LRF or non LRF? In our opinion if you shoot a relatively flat shooting calibre, for example a .204 at say up to 200 metres, a non LRF would suit. If you used a calibre which drops a lot like a 45/70, we would suggest a LRF version. If you regularly shoot longer distances the convenience of a LRF makes sense. The non LRF scope has a stadiametric rangefinder built in. You will feel like Superman with the Pulsar Trail, able to see through long grass and light brush at will! 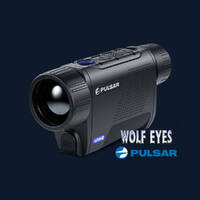 The Pulsar Trail Thermal Imaging Scope has great capability and adds internal recording and wifi output. Pair the Trail - any model from the Pulsar Trail XP50, XQ50, XP38 through to the XQ38 - with your phone or notepad for a larger screen. 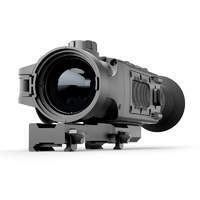 Tremendous for law enforcement, vermin control, herd management, conservation or hunting the Pulsar Trail XP and XQ models cover a wide range of thermal imaging requirements. The image quality of the Pulsar Trail thermal scopes has proven to be amazing, hard to believe how good on the Trail XP50 and XP38, and they have the proven Pulsar Thermal durability and quality. What surprised us as being useful was the wifi and recording. The wifi is great if with a partner, they can view what you are seeing on your Trail on their phone, seeing exactly what you are seeing in real time. No more trying to regain sight picture when changing operators on the thermal scope. 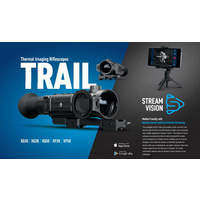 Internal recording on the Pulsar Trail thermal scope is great for showing property owners what is actually on their property and also for them to share with adjoining properties. There is nothing like a video to prove what is happening or what feral pests are where! For Police and Law Enforcement the recording is even more valuable. The Pulsar Trail scopes build on all the well known Pulsar Thermal capabilities then add the best of today's technology. 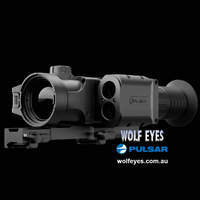 Which Pulsar Trail scope to choose? 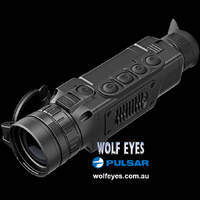 If you prefer wide fields of view for say pigs at close quarters the Pulsar Trail XQ38 and Pulsar Trail XP38 are a great choice, if you would like to look at foxes or wild dogs at distance then the Pulsar Trail XQ50 would possibly suit. 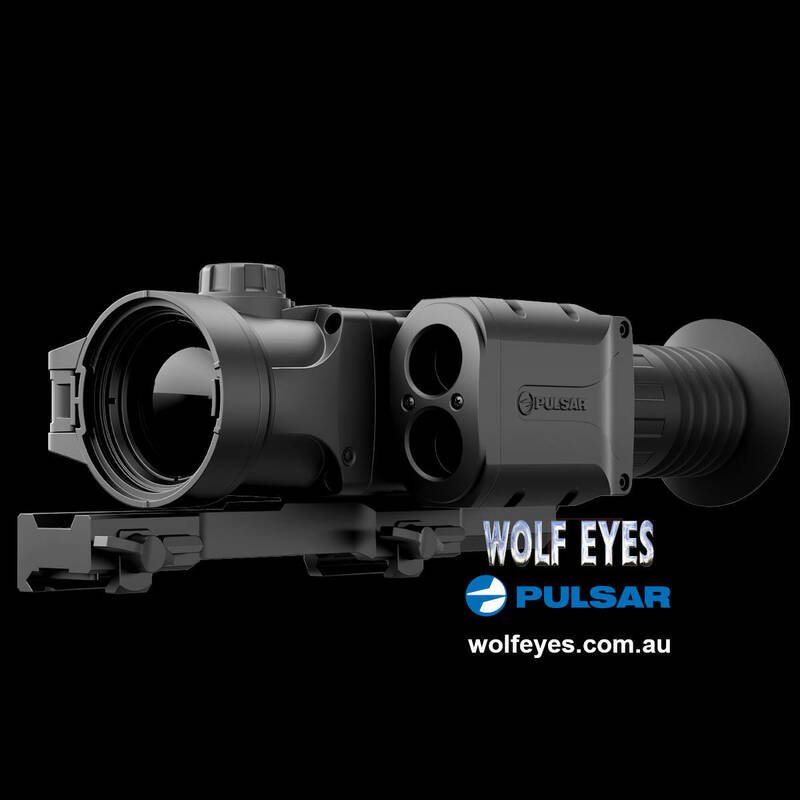 If you want both wide fields of view and great image quality at distance then the Pulsar Trail XP50 would be a perfect choice of thermal scope for you. If you are a land owner or professional the new Pulsar Trail thermal scopes are - as one new Trail thermal owner described to us - a genuine game changer. this is really the next generation of feral control. When you are walk or drive into a paddock or the bush you know where every living thing is straight away, it is just so much more time efficient. In the old days you would set up in a paddock and whistle in or observe for a period to see what was there. Even after being there for an hour you never really knew if something was there and got your scent or observed you - or that really there was no feral pests there. 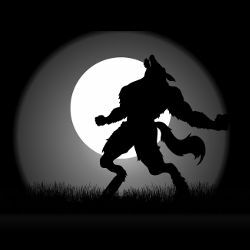 Night vision improved that situation immensely, but still you were faced with the situation if you couldn't see the problem animals in the daytime or under a strong light, say pigs in wheat or foxes in long grass, then your night vision couldn't see them either. Then early thermal scopes came along which allowed you to see shapely blobs of anything with a heat signature, even through long grass - what a change! There was no hiding now. It is as if the ferals are standing in a freshly ploughed paddock with a large spotlight on them, they are that obvious. Then with the latest generation like the Pulsar Trail thermal scopes you can get good identification close and heat signatures out to 1800 metres. 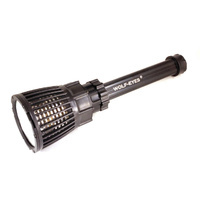 These Pulsar Thermal scopes allow you to go into a paddock and with a number of stops know quickly what is in it, great if you have a lot of territory to cover or would just like to sleep at some stage after working all day. Real efficiency and a genuine game changer. Thermal scopes really are the time efficient alternative to all previous feral pest control. A large heat sink located on the side of the Pulsar Trail's body, prevents excessive heat build-up from the Thermal Image Sensor (microblometer) and other components while also significantly reducing temperature, background noise and noise sensitivity, especially between calibrations. This enhances image sensitivity and picture quality on your Pulsar Trail and applies equally to the Pulsar XP Trail and Pulsar XQ Trail, both 38 and 50 models. This is a great and crucial feature for a thermal scope used in the warmer parts of Australia - or even the colder parts of Australia in summer. 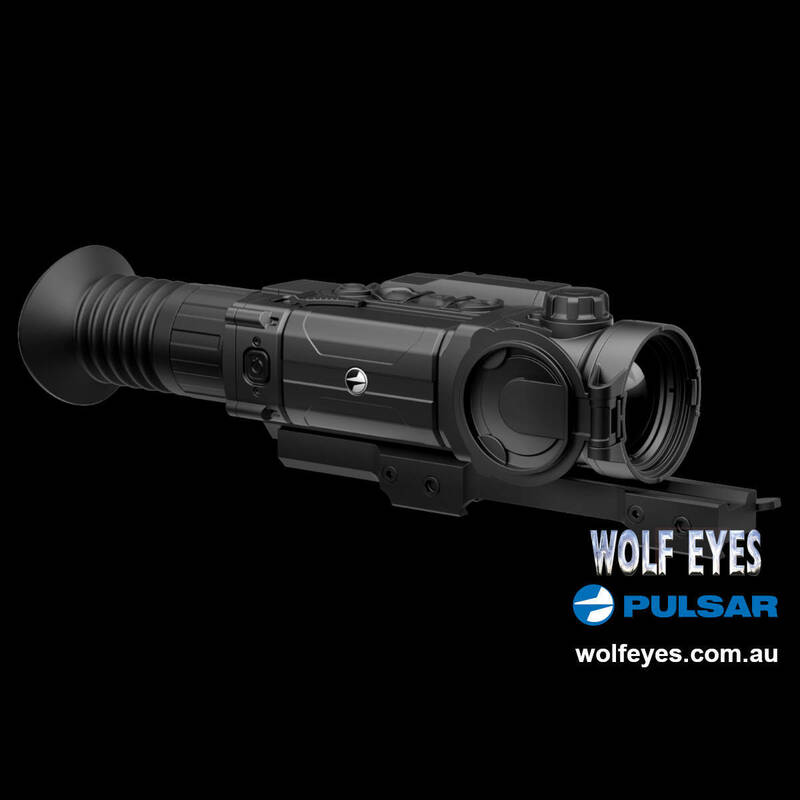 The Pulsar Trail scope models (XP & XQ) include variable magnification and feature both 2x step-up and smooth, even, graduated magnification for a truly optimum, customized field of view for you. This applies equally to the Pulsar Trail XP thermal scope series, the Trail XP50 & Trail XP38 and the Pulsar Trail XQ thermal scope series, the Trail XQ50 & Trail XQ38 thermal scopes. 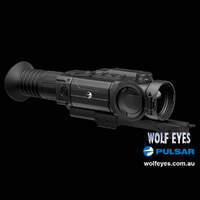 The Pulsar Trail XQ and XP thermal scopes feature a high refresh rate of 50hz which provides high quality viewing of moving subjects, without the stuttering common on lower refresh rate scopes. This applies equally to the Pulsar Trail XP thermal scope series, the Trail XP50 & Trail XP38 and the Pulsar Trail XQ thermal scope series, the Trail XQ50 & Trail XQ38 thermal scopes. One of the big features of the Pulsar Trail Thermal imaging scope is the ability to link via wifi with Android and IOS based mobile devices using the free app 'Stream Vision'. 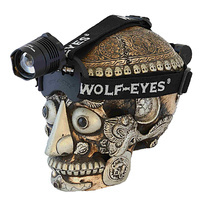 This enables you to recieve video in real time, to operate the Trail thermal imaging scope with your smartphone or tablet and well as stream video to Youtube. Absolutely tremendous if you shoot with a partner, they can see what you are seeing through the viewfinder in real time. 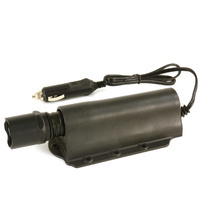 This can be on a phone or say a tablet mounted on the windscreen. This applies equally to the Pulsar Trail XP thermal scope series, the Trail XP50 & Trail XP38 and the Pulsar Trail XQ thermal scope series, the Trail XQ50 & Trail XQ38 thermal scopes. 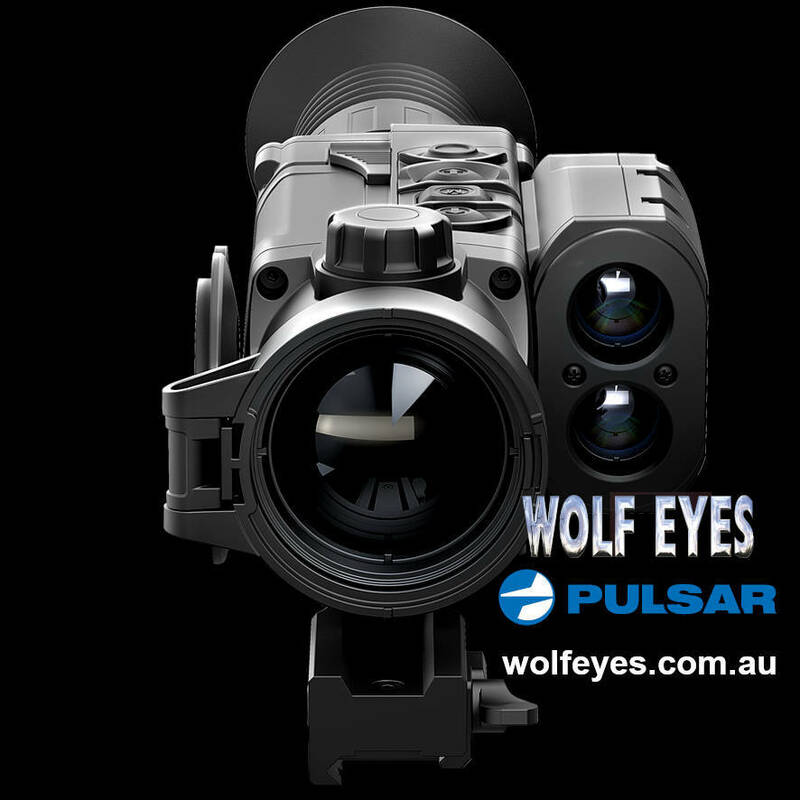 The Pulsar Trail XP & XQ thermal scope has the ability to record thermal images or thermal video on it's built in video recorder. This can be then sent to your PC or laptop via a wired connection or wifi. If you have neighbours knowingly or unknowingly have vermin on their property you are able to send them a video showing the actual problem, either on their property or when crossing the boundary. For a professional the Pulsar Trail thermal scope provides another level of proof, either of a problem or how well the solution is going. 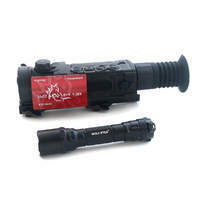 The thermal scope allows you to select continuous recording, photo mode or recoil activated video recording which shows 3 seconds before and 3 minutes after the shot. This applies equally to the Pulsar Trail XP thermal scope series, the Trail XP50 & Trail XP38 and the Pulsar Trail XQ thermal scope series, the Trail XQ50 & Trail XQ38 thermal scopes. Depending on your individual model, Pulsar Trail thermal imaging scopes can detect big-game-size heat signatures up to 1800 meters away. While most of us don't actually aim at 1,800 metres, you can use your Pulsar Trail thermal scope to detect heat signature at up to that distance (depending on scope), then after being made aware there is animals in that location move closer to determine if they are livestock or predators. 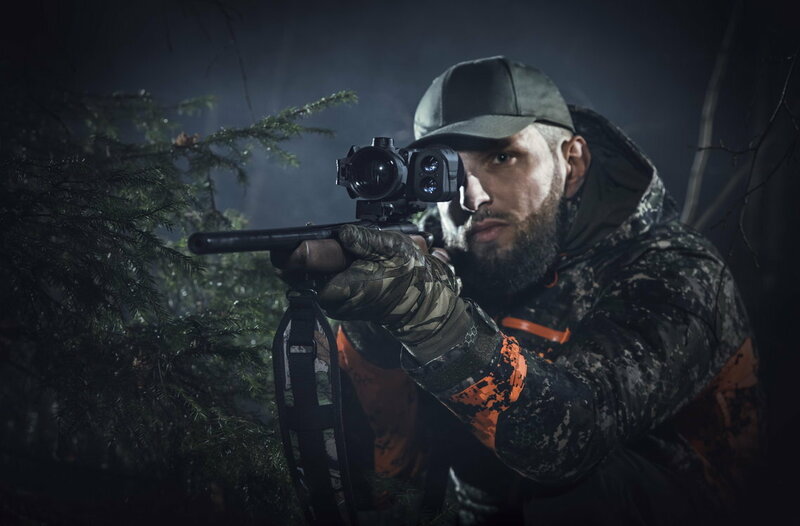 Based on the estimated heights of viewed objects, the stadiametric rangefinding reticle makes determining distances with your Pulsar Trail fast, easy, reliable and repeatable. 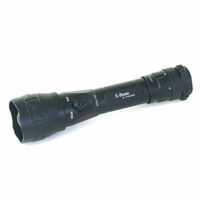 A very useful system to have without the bulk or expense of a nightime laser range finder. This applies equally to the Pulsar Trail XP thermal scope series, the Trail XP50 & Trail XP38 and the Pulsar Trail XQ thermal scope series, the Trail XQ50 & Trail XQ38 thermal scopes. 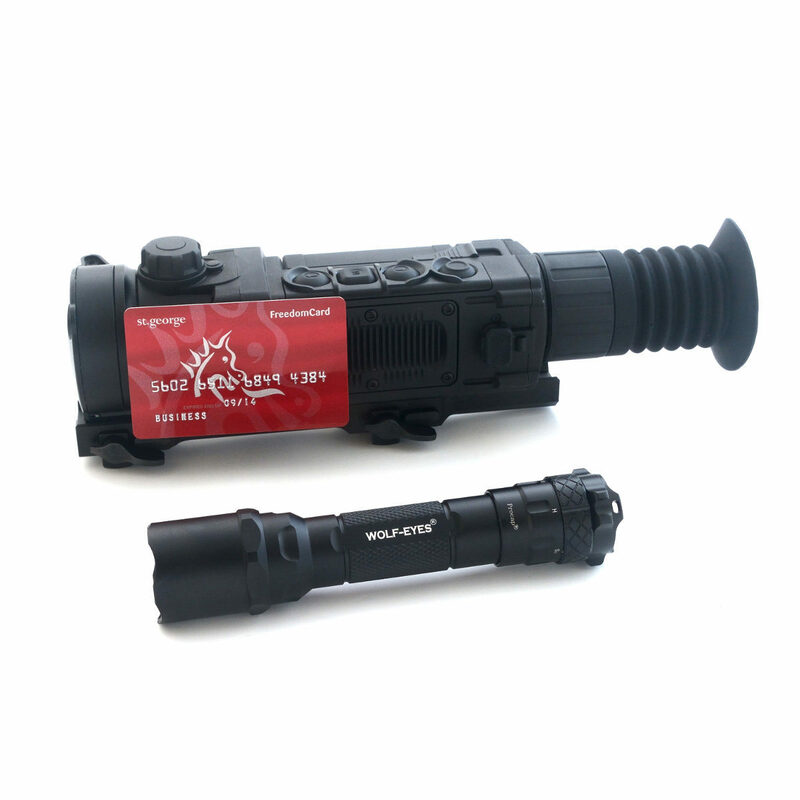 The Pulsar Trail thermal scope includes a progressive autonomous B-Pack power supply consisting of a quickly detachable, rechargeable IPS5, 5.2A-h battery pack designed to deliver over 8 hours of Trail Thermal Scope operation on maximum mode. Higher powered IPS10 battery packs, as well as CR123A and AA battery cases, also are available and provide a perfect out in the bush power solution. These batteries work equally well with your Pulsar Trail thermals scopes - all models including XP50, XP38, XQ50 and XQ38 - and also with your Pulsar Helion thermal scope & Pulsar Accolade thermal binoculars. With the Pulsar Trail Thermal scope rated at IPX7 waterproof protection it ensures your Pulsar Trail performs perfectly in wet weather, even during intense rain, snowfall and submersion in 1 metre of water for up to 30 min. (IEC 60529). 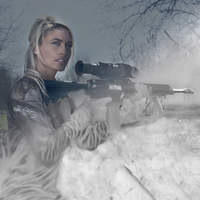 Probably worse conditions than you would like to subject your rifle to - or yourself! This applies equally to the Pulsar Trail XP thermal scope series, the Trail XP50 & Trail XP38 and the Pulsar Trail XQ thermal scope series, the Trail XQ50 & Trail XQ38 thermal scopes. 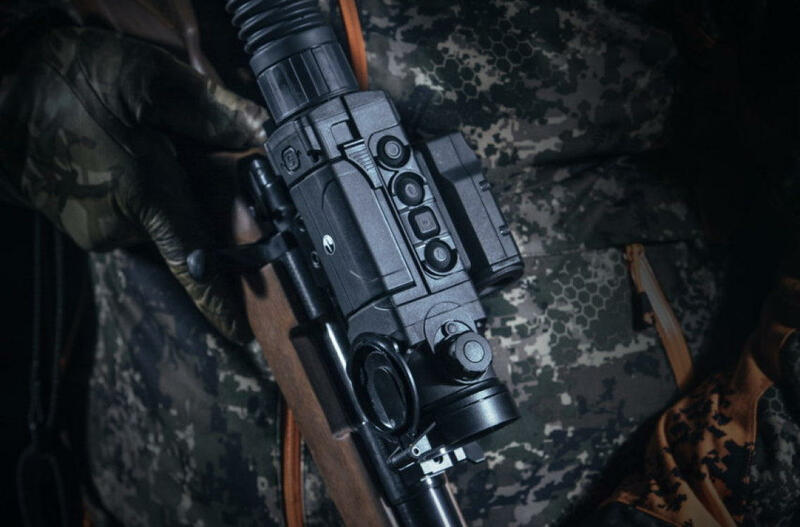 With a frost resistant AMOLED display, the Pulsar Trail XP50, XQ50, XP38 & XQ38 thermal imaging scopes are designed to deliver perfect performances at an extreme temperature range of -25° ... +50°С. Obviously thermal scopes and scopes work best with lower ambient temperatures, when the differential is greatest between the heat producing object and the ambient temperature. This applies equally to the Pulsar Trail XP thermal scope series, the Trail XP50 & Trail XP38 and the Pulsar Trail XQ thermal scope series, the Trail XQ50 & Trail XQ38 thermal scopes. 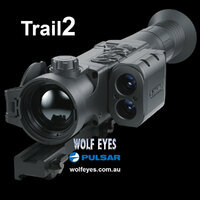 The Pulsar Trail is designed to be easy to use. A lot of client feedback has resulted in the most friendly interface to date, complete with an easy to read, icon driven, alpha numeric status bar at the bottom of the display. Internal menu items and options are also displayed on a contrasting gradient substrate so you can keep an eye on settings without losing sight of your objective. We want it to be straightforward to use your new Trail thermal scope, not a task like learning to reprogram a computer. The majority of functions which aren't required for daily thermal scope use are in sub menus so out of your day to day way. 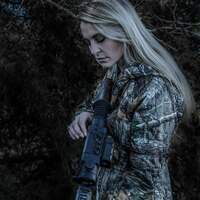 This applies equally to the Pulsar Trail XP thermal riflescope series, the Trail XP50 & Trail XP38 and the Pulsar Trail XQ thermal riflescope series, the Trail XQ50 & Trail XQ38 thermal scopes. 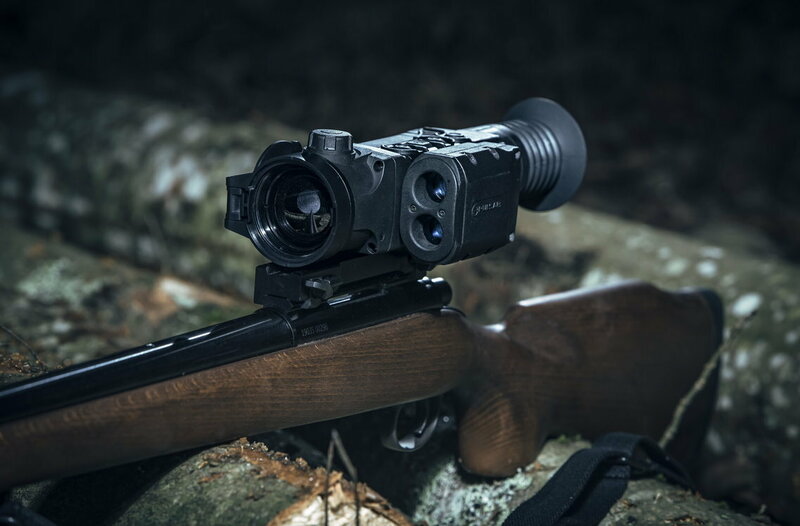 During short periods of inactivity of your Pulsar Trail thermal scope can be in 'display off mode' and before use to provide better concealment, Display Off powers down the display without interrupting any other functions. Using Display Off means you have a much faster restart time of your Trail thermal scope when you need it most. 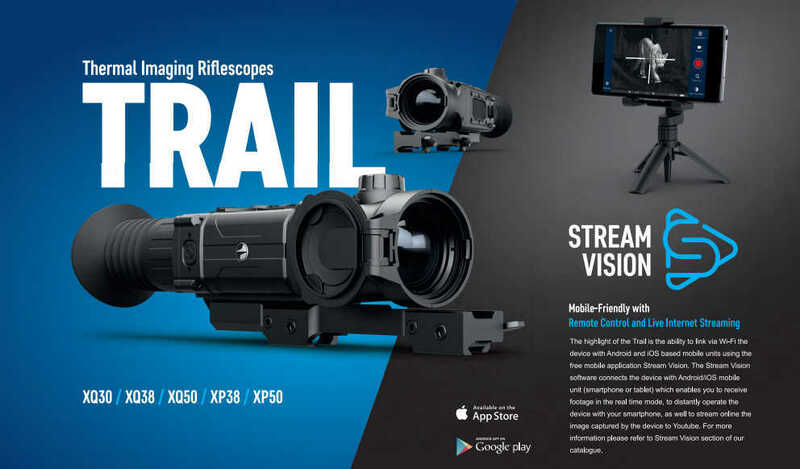 For your initial setup and ongoing updates, the iOS and Android compatible Stream Vision App will ensure that the most recent Pulsar Trail thermal scope software versions are available to your thermal scope. There has been an update in late 2017 and early 2018 with all devices are eligible for this. We also have hardware which isn't yet enabled, the microphone is an example of this and we expect to enable it in the next software release. 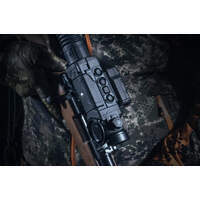 The Pulsar Stream Vision App will notify you when an update is available, give you the option to download to your phone or tablet, then when connected to your thermal scope or riflescope give you the option of updating it's software. 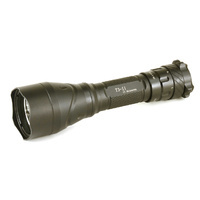 Very straighforward and an easy way to keep your thermal scope up to date with the latest features. 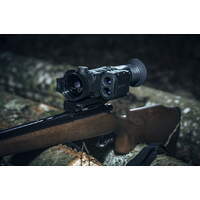 This applies equally to the Pulsar Trail XP thermal scope series, the Trail XP50 & Trail XP38 and the Pulsar Trail XQ thermal scope series, the Trail XQ50 & Trail XQ38 thermal scopes. The Pulsar Trail wireless remote control, with it's encoder wheel, puts the complete range of the Pulsar Trail's capabilities at your fingertips for comfortable, convenient, remote operation of your thermal scope. 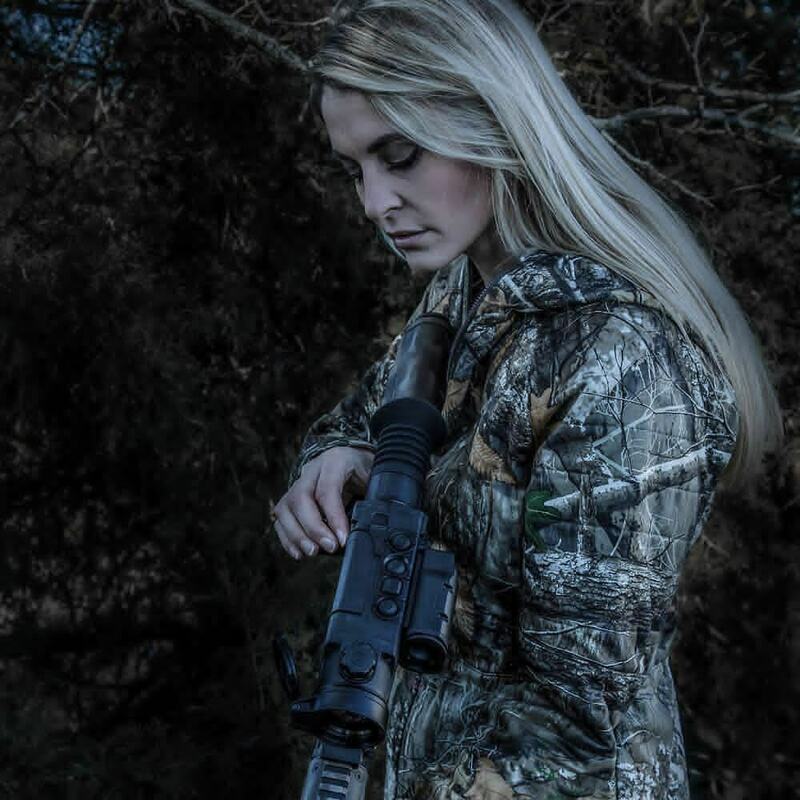 It is a big investment when purchasing a thermal scope or night vision scope. You deserve peace of mind. That is why we are a Pulsar Premier Partner, to give you that peace of mind. You have the full resources of our company and the full resources of the Australian importer working together to support you. Full sales support, full service. Both companies familiar with your product, thermal scopes and night vision and dealing with these technologies daily. We know how hard it is when buying a new scope sight unseen - and it is twice as hard when it is new technology like a Pulsar Trail thermal scope. 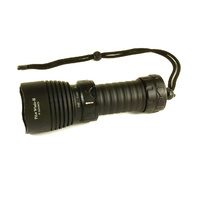 Here is our complete video manual so you can see what you are getting yourself in for with a thermal scope, of course bearing in mind you will usually just use one or two of the functions after your initial setup. It was bad start to getting my XP50, I was quoted 2 weeks then 4 weeks then 7 weeks by someone, always changing and all after I had paid. Two different friends suggested I call Glen here, he quoted 3 weeks and true to his word delivered it a day early. All this frustration put a bad taste in my mouth but after using the scope all was forgotten. This is the next thing in feral pest control, shot 5 foxes on the first night, actually felt like I had the upper hand for once. Wanted to stay out all night and clean up every pest on the farm. The detection capability is amazing and you can see every pest in a paddock. Picture in picture is great and really helps with shot placement on long shots, have used it on 300 metre shots. This is a great aid to anyone with feral pest problems, hope all my neighbours buy one. 100% recommend. Got the XQ50 and is really true love. unbelievable what it can do, it probably cuts out 3/4 of the time I would spend on reducing foxes. First lambing season with it and wish I had bought one five years ago, will probably pay for itself this year. The XP50 is my second thermal rifle scope and by far and away the best. Everything is good about this, the quality is easily the best thermal I have ever seen and I looked at everything I could when I was choosing this one. The battery lasts a all night, the phone app works well and the recording works. I had a different brand before and would easily give this scope 10 out of 10, only thing which would make it better would be being cheaper. You almost feel guilty how good it is when you are using it. Almost. Recently got a Trail XQ50 and it is a game changer. Part of our property is half an hours drive away, so we spend less time eradicating pests there. Also when we get there we never really new what was around, now with the Trail we know within minutes after arriving. It has easily made us tenfold more effective and cant recommend the scope highly enough. Everything you have read or seen in the videos is right - I am sure you have read them all like I did. 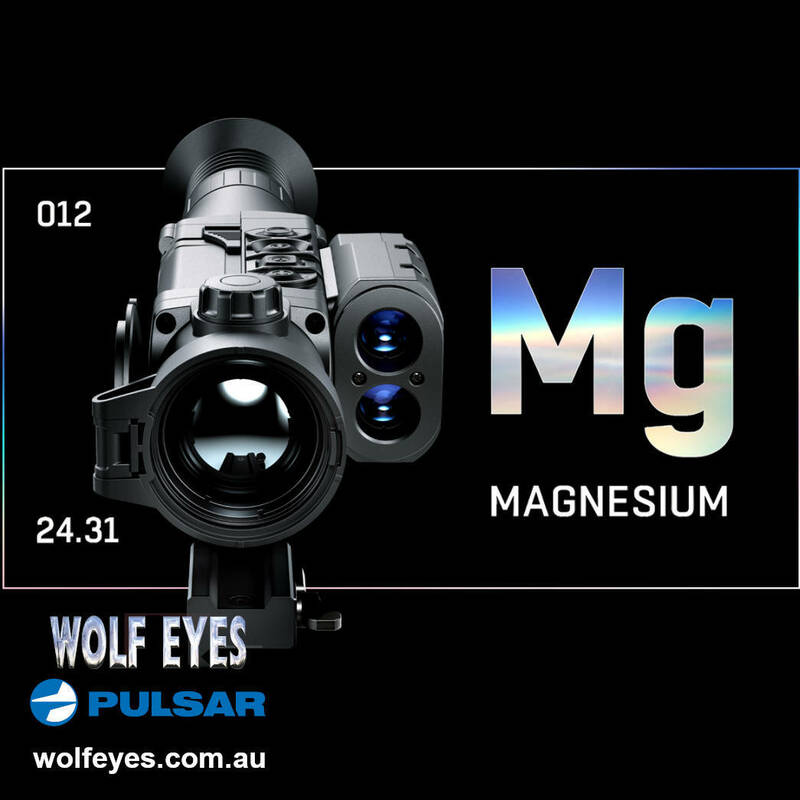 Absolutely fantastic scope and compares very, very well with some my friends own. Could not be happier. Thank you Glenn for getting me one of the first in Australia.